The numbers around composer Leslie Bricusse stack up most impressively indeed – over 1,000 songs written over a period of more than 60 years, including the book, music or lyrics for 40+ musical films and plays, winning 2 Academy Awards and being nominated for a further 8. 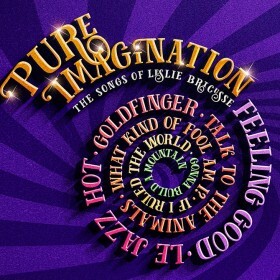 So one can certainly indulge him in a moment of reflection in Pure Imagination: The Songs of Leslie Bricusse, a career retrospective that merely skims the surface of that mighty back catalogue with 50 numbers but giving a glorious sense of the formidable and unerring quality of his undoubted talent. 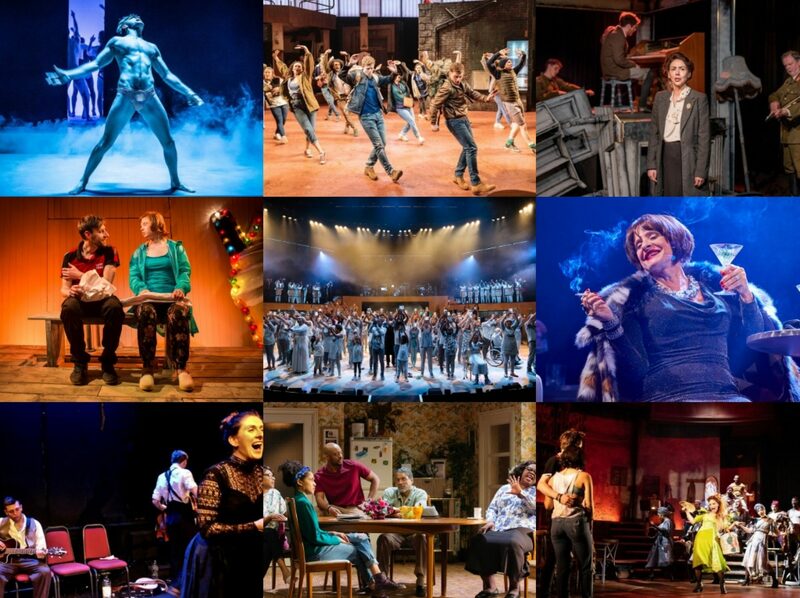 Devised by Bricusse along with director Christopher Renshaw and producer Danielle Tarento, the show eschews any kind of formal narrative, instead collecting songs into loose groupings which give the ideal opportunity to show off the vast breadth of material and leave even the most knowledgeable saying ‘I didn’t know he wrote that one as well’. So the theme to The Pink Panther rubs shoulders with Doctor Dolittle’s ‘Talk To The Animals’ and Willy Wonka’s ‘Oompa-Loompa Doompadee-Doo’, and a sing-song around the old joanna features such classics as ‘My Old Man’s A Dustman’ and ‘The Good Old Bad Old Days’. It’s a largely effective technique, the thematic continuity allowing lesser-known gems to be seamlessly incorporated – unused Thunderball theme ‘Mr Kiss-Kiss Bang-Bang’ is thus sandwiched between ‘Goldfinger’ and ‘You Only Live Twice’ – and excerpts from as-yet-unperformed musicals stand proudly alongside their more famous cousins. The comic counterpoint of ‘Hollywood Wives/Two Timer’ from forthcoming Sunday Dallas is a grand example of how strong the songwriting still is after all these years and for me, hearing cuts from the brilliant Victor/Victoria, particularly ‘Le Jazz Hot’ and ‘Living in the Shadows’, was a real highlight. It helps that the company is a much-talented one. Dave Willetts’ powerhouse vocal and Niall Sheehy’s twinkling charisma are both striking, and Julie Atherton and Siobhán McCarthy lend a real sense of class, none more so than in their incandescent duet ‘In His Eyes’ from Jekyll & Hyde. The stand-out performer though is Giles Terera, his stripped-back takes on standards such as ‘If I Ruled The World’, ‘What Kind Of Fool Am I?’ and ‘The Candy Man’ are just breath-taking, so full of yearning character that leading man status should – by any rights – be his for the taking. The overall sweep of Tim Goodchild’s production design looks sophisticated with its sweep of scattered sheet music, a classiness always under threat of being undermined by some questionable (and over-literal) projections but Musical Director Michael England gets it dead right with luscious orchestrations and sparingly used but effective smatterings of choreography. And as the gorgeous candy-floss cloud of harmonies accompanying ‘Pure Imagination’ lead into an expressive ‘Feeling Good’ (made famous by Nina Simone but originally from The Roar of the Greasepaint, The Smell of the Crowd) for a knockout finale, one simply has to marvel at a truly awesome body of work – a fitting tribute to a prodigious talent.